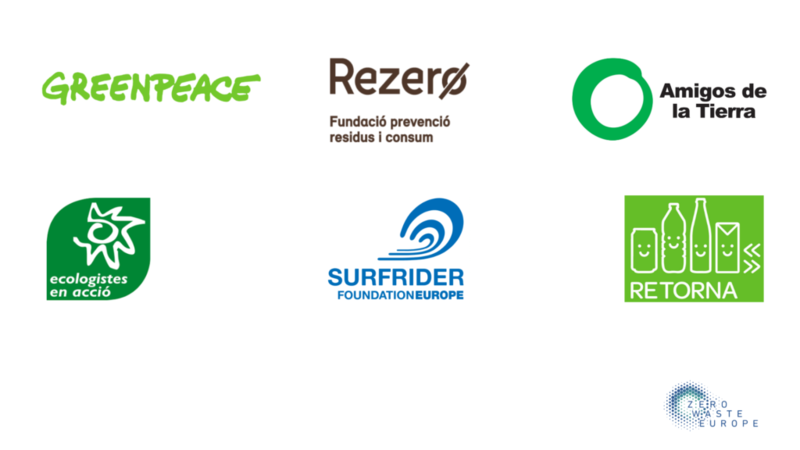 On the occasion of the European Week for Waste Reduction, Greenpeace, Ecologistas en Acción, Surfrider España, Rezero, Retorna and Amigos de la Tierra are launching the spanish Zero Waste Alliance, “Alianza Residuo Cero”. The objective of this alliance is to work together with municipalities and regions to support a transition towards circular economy. It aims for an advancement in waste reduction and in preparation fees regarding reuse and recycling. The member organisations have a long history dealing with waste. They all agree on the necessary change of the production and distribution models in order to reduce the quantity of waste generated along with implementing more efficient waste collection and treatment systems. Those systems prioritize preparation for reuse and recycling over landfilling – that should be reduced as much as possible – and incineration which should not even be considered as an option, even for energy recovery. The approval of the EU Circular Economy Package and the modifications of the directives along with the proposal of the recent Single-Use Plastic legislation send a clear signal to municipalities and regions of the EU to adopt an efficient model based on Zero Waste. Therefore, the Spanish government must act immediately as Spain is far from reaching the 2020 EU target of 50% recycling with a current 30% rate. With the ongoing implementation of measures that have been proven efficient such as bio-waste separate collection for composting, door-to-door collection or Pay-As-You-Throw systems, previous results could be significantly improved. The Alianza Residuo Cero is therefore developing proposals for regional and municipal political parties as well as for the European level. Those proposals will be published in the following weeks. If policy-makers genuinely plan to comply with the European legislations but also to commit to circular economy and sustainability, they must include those measures in the coming legislature. 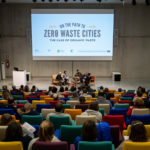 The Alianza Residuo Cero is part of Zero Waste Europe, a network formed by 30 local and national NGOs in 24 European countries. Within the network, “Zero Waste” is understood as a pragmatic and sustainable waste management model stimulating natural cycles in which every discarded material during a process will be used for another process. Zero Waste means designing and managing products in a way that reduces volume and toxicity of the waste generated. It also preserves and recovers materials as much as possible without resorting to incineration or landfilling. In that sense, the Zero Waste model aims at phasing-out any emissions polluting air, water or soil threatening human health, animals and plants globally. Click here to read the original press release in Spanish.